Contra Costa County is named for the Spanish words for “opposite coast” since the county was across San Francisco Bay from San Francisco. 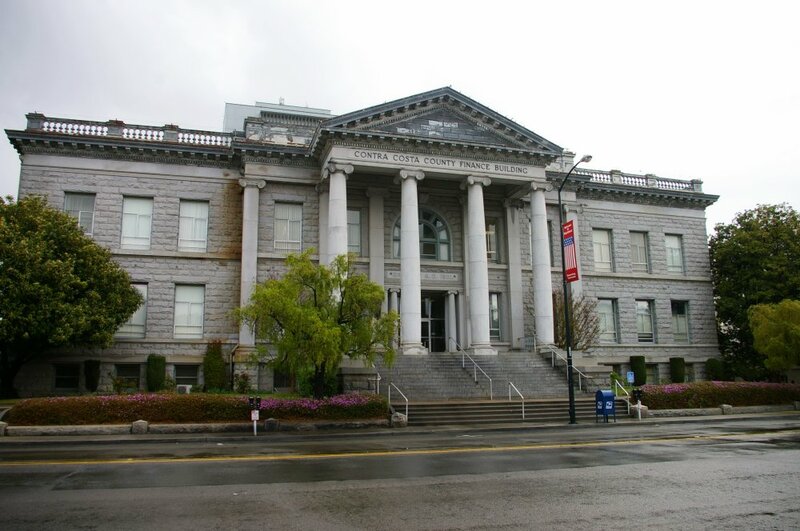 Description: The building faces west and is a three story buff colored stone structure. 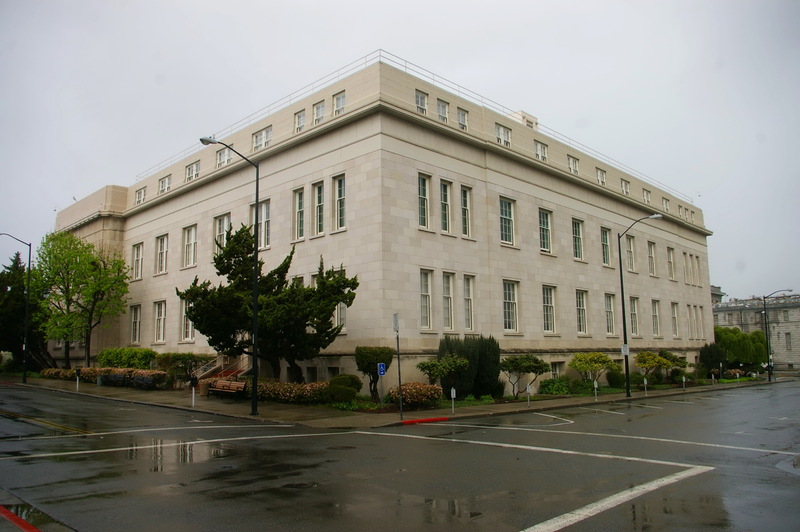 The building is square and covers the entire block. 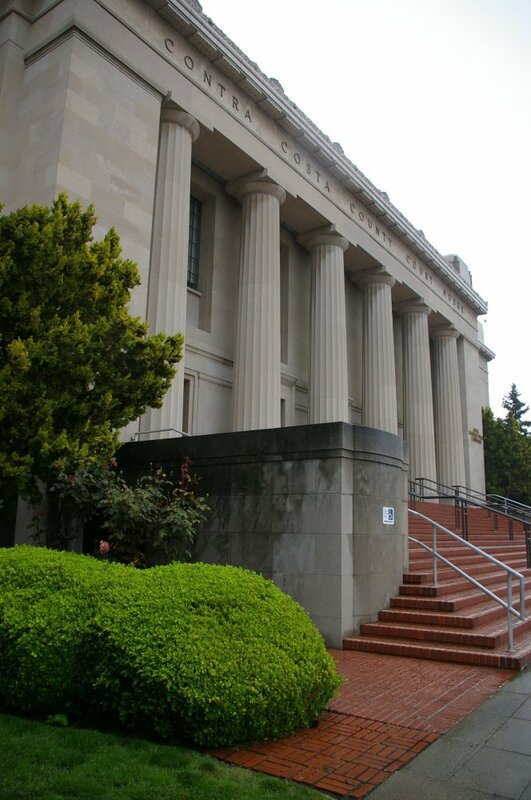 The west front has wide brick steps leading up to a large portico with six Doric columns resting on 18 foot octagonal bases. There are three sets of bronze double doors. The roof line is flat. 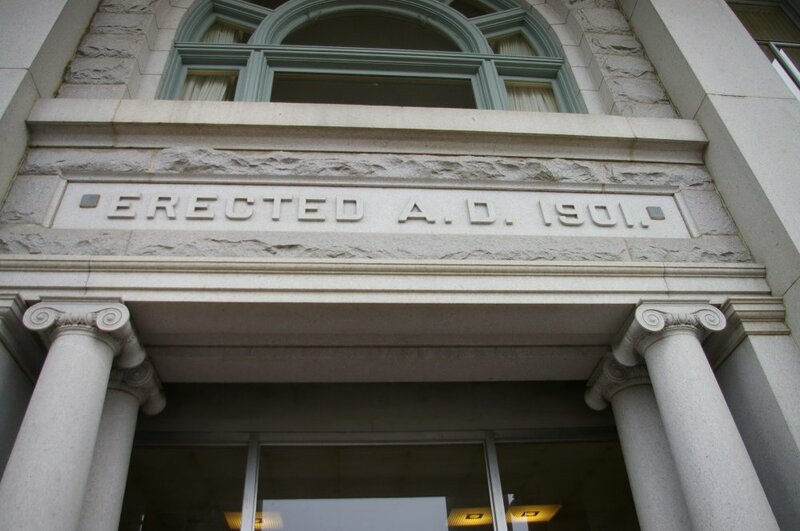 The architect was and the contractor was local contractors which were mostly from the county. 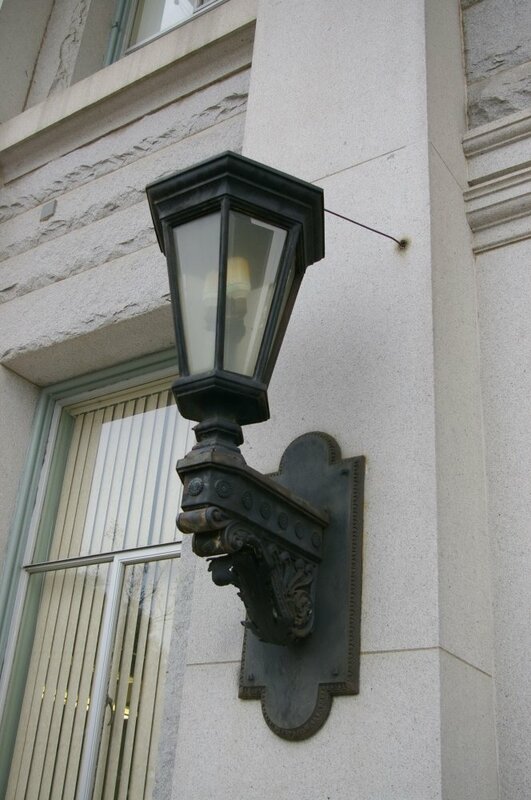 The supervisor during construction was R R Arnold, who was the County Engineer. In 1966, the building was remodeled to house the courts which were moved from the old courthouse to the north. Note: The building was originally constructed as the Hall of Records and contained 8,000 square feet of floor space. 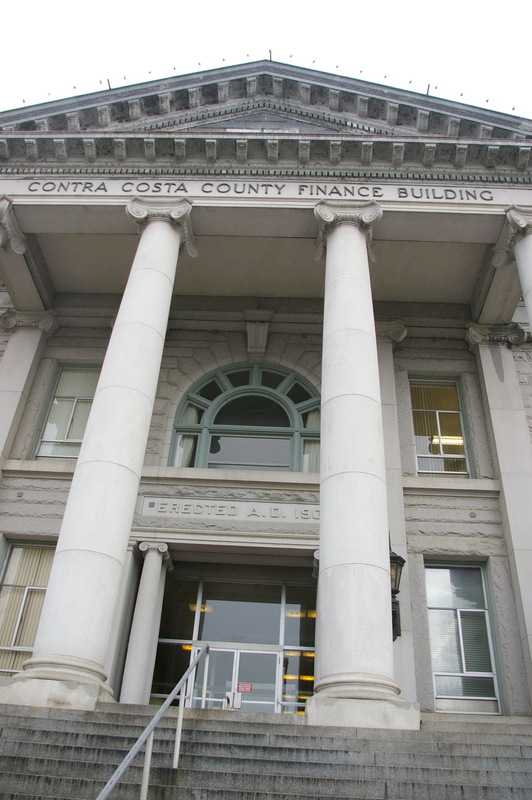 The Board of Supervisors notified all contractors that they were expected to employ local labor. 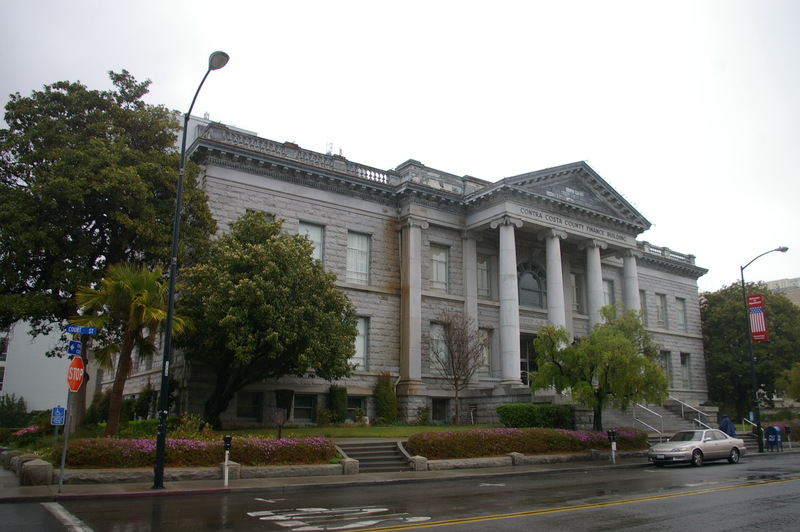 See: National Register of Historic Places – Contra Costa County Hall of Records ( Courthouse ). 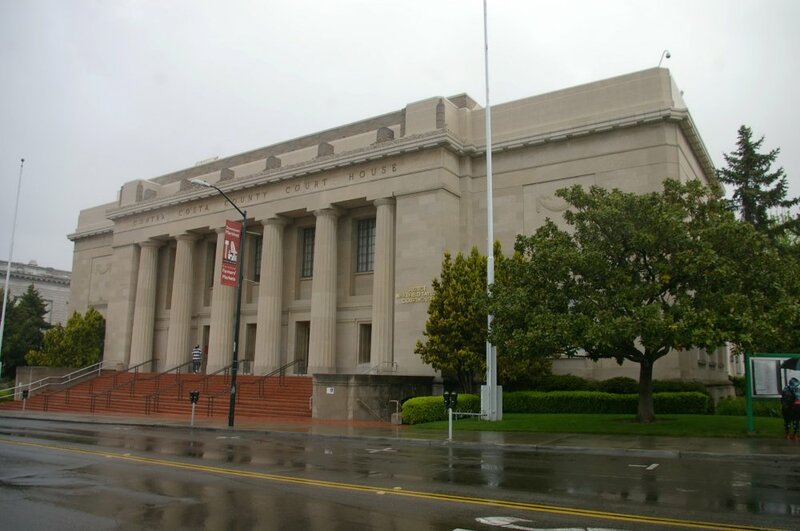 Description: The building faces west and is a two story granite and concrete structure. The building and the jail on the east side, occupy the entire block. The building is constructed of Vermont granite. The west front has wide granite steps leading up to a large portico with four Ionic columns rising to a wide pediment with frieze at the roof line. A balustrade runs along the flat roof line. In 1966, the building became the County Finance Building when the courts moved to the Hall of Records to the south. 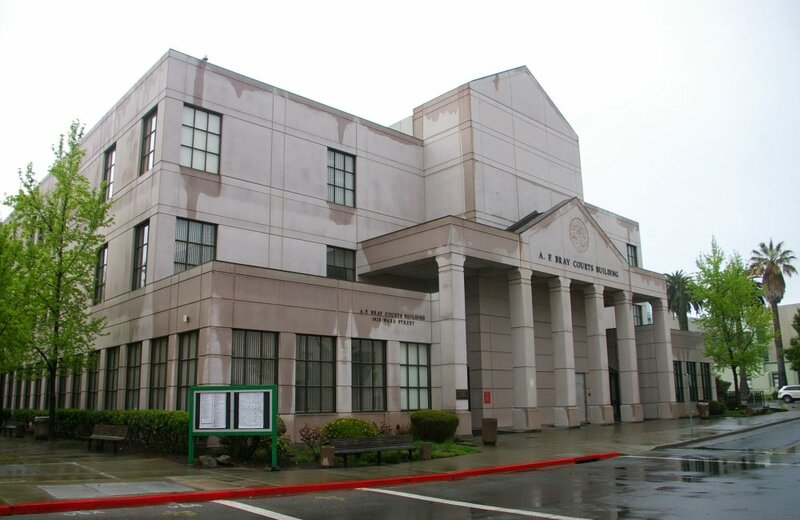 Note: The jail is located on the east side of the courthouse. 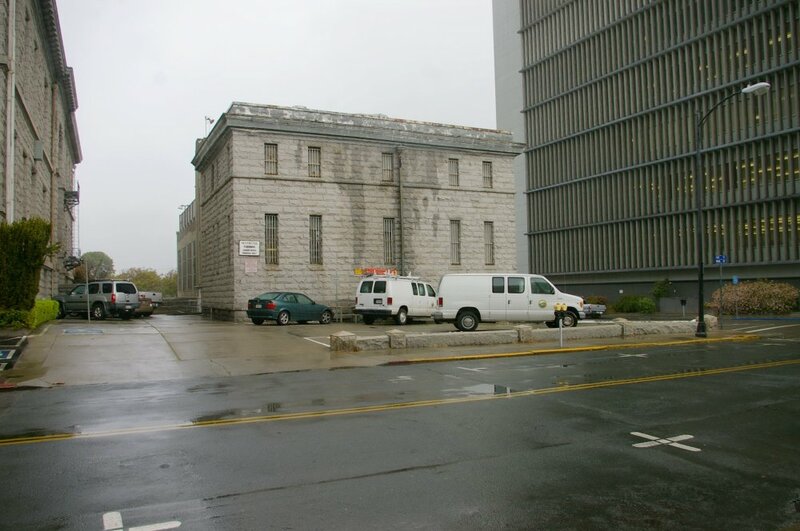 The jail which was built in 1901 is also constructed with Vermont granite . The architect was William S Mosser & Son. 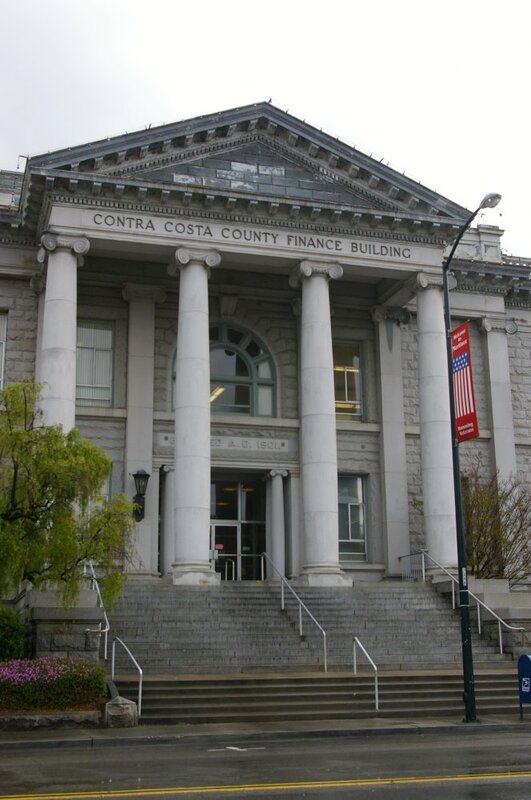 See: National Register of Historic Places – Contra Costa County Courthouse Block.. Description: The building faces north and is a three story concrete structure. 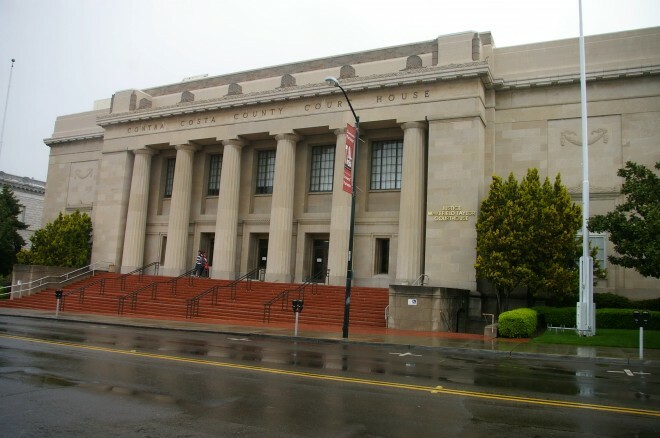 The north front has a wide portico with six concrete pillars rising to a concrete header and pediment. Behind, a projecting section rises to a peak. Above the flat roof line. On the east and west sides of the front, there are one story wings with large windows.